Final day of the tournament started off with the first semi-finals between Wales and China. China won it easily by surprise, beating Wales with scoreline 4-1. It was pretty intense in the beginning. In the first frame Ding Junhui and Mark Williams depended on the respotted black to hive off the winner. 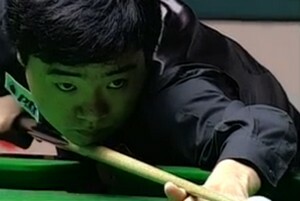 At last Ding potted it and China led 1-0. Matthew Stevens from Wales caught a mistake of Liang Wenbo, hitting 70 to level 1-1. However, Wales did not win a frame afterwards. 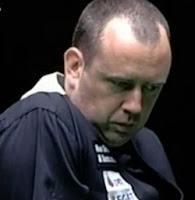 Mark Williams did not give his standard in the previous matches. China made to the final of World Cup by 4-1. Mark Williams himself was also disappointed with his performance today: "Obviously we're disappointed we got beaten and both of us felt we had a good chance of winning." One of the winners Ding Junhui looked forward to have All Asian Final again if Hong Kong beats Northern Ireland in the semi-finals: "I'm looking forward to the final and hopefully it will be against Hong Kong and it would be like at Wembley when I played Marco (in the final of the Masters). But the outcome of second semi-finals is opposite of what Ding wants. Magic run of Hong Kong is ended by Northern Ireland in a thriller, despite came back from 1-3 down to force a decider. Hong Kong beaten England early in quarter-finals but Marco Fu lost himself today. He lost his two singles frame and of course the sudden death singles. The doubles frames helped Hong Kong a lot, dragging Northern Ireland to the decider with Fung Kwok Wai won Mark Allen with 80. 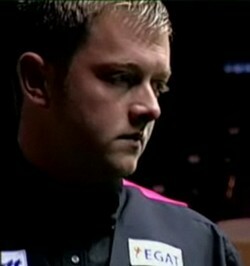 Mark Allen said after the victory, "We've been winning the singles matches but not the doubles but I will take that. We need to play as well as that, if not better. Liang and Ding must be playing well to beat Wales 4-1.'' Allen need to pay attention to the doubles frames! The World Cup final between Northern Ireland and China will go underway starts at 3:30pm BST. Which nation will take the world?